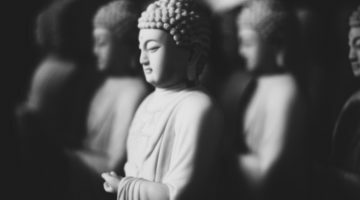 The “three bodies of the Buddha” may seem like a remote construct, says Reginald Ray, but they are the ground of existence and present in every moment of our experience. 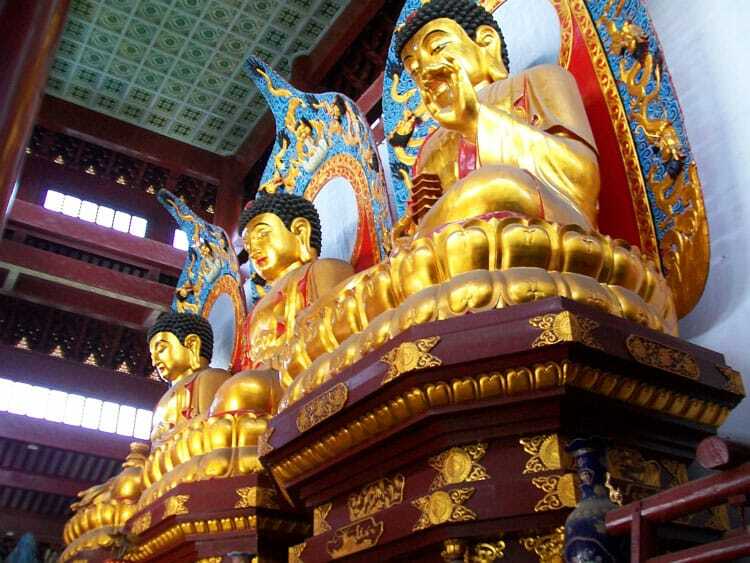 It is said that the Buddha is defined by three bodies of enlightenment, the so-called trikaya of classical Mahayana theory. These include the dharmakaya, the body of ultimate reality; the sambhogakaya, the body of joy; and the nirmanakaya, the Buddha’s conditioned, human body of flesh and blood. The trikaya theory often seems rather abstract and remote, far removed from our ordinary lives and daily meditation practice. In this column I want to suggest, however, that the trikaya actually forms part of our most intimate experience and is the very basis of our present human existence. According to the abhidharma, there are three major kinds of ground that all humans experience in the course of their lives. The first, the ground of “existence,” is the experience of ourselves as having a relatively solid and continuous identity, grounded in the practical, conventional world. This ground is affirmed through all the activities of body, speech and mind by which we seek to define, maintain and enhance our familiar sense of “self.” This ground corresponds to the conventional idea of human life and is what most people view as the essence of their identity. The second kind of ground is “death/birth.” There are the times when we find ourselves unable to maintain the identity we have thought of as “me.” We feel weak and shaky, our very body and mind seem to be dissolving, and we feel like we are falling apart. In the midst of this fear we may feel as if we are dying. We can call this ground “death/birth,” because whatever dissolution and death we may experience—whether psychological, social or even physical—is at the very same time a birth into another identity or mode of being. The third kind of ground is emptiness, or the “groundless ground.” Here, sometimes abruptly, we come face to face with our own nonexistence. We look to the solid and desirable ground of our familiar “existence,” and even to the typically undesirable ground of “death/birth,” and can find neither. We are able to discover nothing but space that is open, clear and empty. People report discovering this third kind of ground in the midst of a serious automobile accident, or when they have suddenly been humiliated, or while making love. It can also occur when we are stunned by traumatic news, overwhelmed by sadness or surprised by something extraordinarily beautiful. These three grounds are nothing other than the three bodies of enlightenment manifesting in our experience. The apparent solidity and continuity of “existence” is the practical, helpful nirmanakaya; the perpetual change and transformation of “death/birth” is the unceasing sambhogakaya; and the unbounded openness of “emptiness” is nothing other than the immutable dharmakaya. But, we may ask, how can these three bodies possibly manifest in the experience of confused, unenlightened people such as ourselves? Buddhism teaches that within each of us is buddhanature—the immaculate, peerless state of enlightenment embodied in a perfected way by the Buddha. What is this buddhanature? It is nothing other than the three bodies of a fully awakened one. Buddhism affirms, in other words, that the three kayas, in their integral, pure and mature form, are within us at this very moment. Yet obviously we do not experience the three kayas in their full and perfected form. Rather, when they arise as the background of every moment of our lives, we instantly overlay and obscure them with the habitual, distorting tendencies of our ego. Each of us, based on our particular karmic proclivities, tends to focus on one or another of the three kayas. We try to create from it a solid, secure ground for our samsaric “self.” For most of us, the nirmanakaya, in its solidified form as “existence,” is the ground we most prefer, with “death/birth” and “emptiness” being undesirable or even deeply feared grounds. Others, however, seek their primary security in the constant turmoil of “death/birth,” and find the continuity and stability of “existence” or the ground of emptiness extremely threatening. Such individuals feel compelled to create constant chaos in their own lives and in the lives of others. 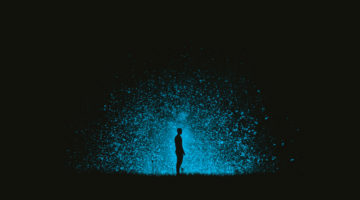 For still other people—and these are usually spiritual practitioners—the desired ground of ego is emptiness: they find themselves most comfortable with empty space and quite reluctant to credit either “existence” or “death/birth” as legitimate modes of being. We can see from our own experience that the attempt to create an ego identity out of any of the three grounds is fraught with difficulties and contradictions. The fallacy of the conventional attempt to build an identity out of the nirmanakaya is perhaps the easiest to understand. By seeking permanence and security in “existence,” one is refusing to acknowledge the impermanence that marks all phenomena and the emptiness that underlies it all. In so doing, the conventionally grounded person is locking him- or herself into an identity that—while perhaps fresh and creative in its formation—quickly becomes outworn, restrictive and even deadly when the causes and conditions that produced that identity have changed, making it no longer applicable. From this arises the demonic quality of the conventional, modern world, where impermanence, change and death are marginalized and denied. The attempt to make the continuing impermanence of “death/birth” a reference point is equally problematic. In this case, fearing the suffocating potential of “existence” we become perpetual rebels, deeply mistrustful of any appearance of continuity, stability or peace. The irony and self-contradiction here is that, in our perpetual opposition to any fixed identity, we have created the most fixed identity of all, one of invariable opposition to anything that has been built and created, by ourselves or anyone else. The attempt to use the “groundless ground” of emptiness as our primary identity is also flawed. When we try to dwell in emptiness and refuse to give the more conditioned aspects of our lives their proper due, we avoid taking seriously the legitimate requirements of our own karmic situation. Yet just because we are trying to avoid the relative world, it does not go away. Instead, our avoidance of karma that is calling to be dealt with creates its own difficulties in negative circumstances that will eventually surface and disrupt our lives and our spiritual paths. We are unable to succeed in making the three kayas into secure, solid ego ground because of their very nature—which is our very nature. The dharmakaya is the space of awareness, limitless and all-pervading, in which there is never any place for a concept of ego identity to take root—even an identity conceived as “emptiness.” The sambhogakaya manifests in the unceasing display of ever-moving and changing energy, and this continually dissolves any sense of “I,” even one that seeks identity in the process of change itself. And the practicality of the nirmanakaya is defined by the needs of others. Since these are always new and unanticipated—external to our agenda, and beyond our control—there is no ground for ego here either. Even more, the three kayas are said to be ultimately indivisible. When we rest in our own inherent nature, in its purity (our buddhanature), we discover that our experience embodies the emptiness of the dharmakaya, the impermanence of the sambhogakaya and the practicality of the nirmanakaya, all at once. This indivisibility goes to the very heart of why we can never succeed in making an ego out of the three kayas. The dharmakaya—the “formless kaya”—is said to be “for oneself,” because it is the very essence of our own liberation. 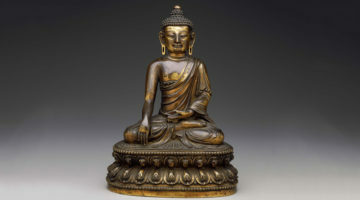 By contrast, the two other kayas—the “form kayas”—are said to be “for others,” because they embody compassion and practical assistance to others. Different as they may seem at first, each kaya implies and is inseparable from the others. The dharmakaya contains the seeds of the other two and, when it meets with the suffering of beings, naturally gives birth to them. For example, when we rest our mind fully in the emptiness of the dharmakaya, and encounter others in pain, we find that the inspiration to help others (the sambhogakaya) and the practical applications of this compassion (the nirmanakaya) arise in a natural and compelling way. In a sense, the more we rest in the dharmakaya, the more we are called to compassionate engagement with those in distress. By the same token, the two form kayas imply the dharmakaya, and, in fact, can only function properly when they are transparent to its emptiness. This is so because only when the energy of the sambhogakaya and the practicality of the nirmanakaya are seen as without essence is their helpfulness to others able to be open, flexible and completely appropriate to what sentient beings need. The classical iconographic representation of the Buddha’s realization shows him touching the earth with his right hand, and calling the earth to witness his attainment. And what is this attainment? It is realizing that our ultimate nature is nothing other than the three kayas of the Buddha. This is a realization in which we see that there is not, nor ever was, any ground for ego at all.